On May 7th 2018, Norwegian, the World’s Best Low-Cost Long-Haul Airline and Europe’s Best Low-Cost Airline, will commence transatlantic flights from Amsterdam-Schiphol. A Boeing 787 Dreamliner will take off four times a week from Amsterdam to The Big Apple. This is Norwegian’s first long-haul service from Amsterdam. The airline already operates direct flights to Copenhagen, Helsinki, Oslo and Stockholm from Amsterdam Schiphol airport. “2017 has been a year of exponential growth for Norwegian’s long-haul route network. This new direct flight to New York will make the US much more affordable and easier to reach for Dutch travelers. We are not slowing down our quest to provide passengers with low fares and a high-quality onboard experience. 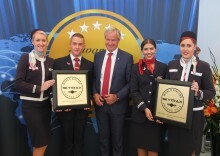 Passengers have enjoyed our service so much that Norwegian was one of the world’s most awarded airlines in 2017,” said Bjørn Kjos, Norwegian’s CEO. 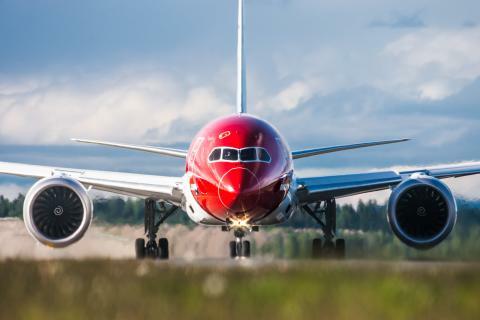 Norwegian operates one of the world’s youngest fleets, and the new route will be operated by brand-new Boeing 787 Dreamliner aircraft. Economy launch fares to New York City start as low as 199€ one-way, including taxes. The lowest fares in Norwegian’s Premium Cabin to New York City start at 539€, one-way including taxes. Premium service includes a dedicated check-in counter, additional luggage allowance, fast track security, lounge access, priority boarding, sleeper seats, all meals and drinks. 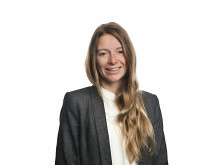 Passengers on all of Norwegian’s routes are eligible to join Norwegian Reward, the airline’s loyalty program and can earn CashPoints every time they fly, stay at a hotel or rent a car. This year, Norwegian celebrated its 15th anniversary. Since its creation in 2002, the airline has carried more than 200 million of travelers. About Norwegian Norwegian is the world’s sixth largest low-cost airline and carried 30 million passengers in 2016. The airline operates more than 500 routes to more than 150 destinations in Europe, North Africa, Middle East, Thailand, Caribbean and the U.S. Norwegian has a fleet of 150 aircrafts, with an average age of 3.6 years, making it one of the world’s youngest fleets. Norwegian was named the Most Fuel-Efficient Airline on Transatlantic Routes by the International Council on Clean Transportation (ICCT). 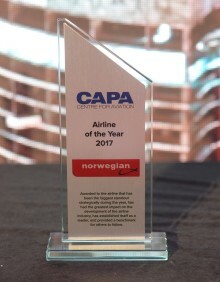 Norwegian was named the World’s Best Low-Cost Long-Haul Airline by the renowned SkyTrax World Airline Awards in 2015, 2016 and 2017, and for the fifth consecutive year, named Europe’s Best Low-Cost Airline. Norwegian employs 9,000 people.